Men Versus Women Winemakers: Battle of the Bottles? You can click on the arrow above to watch our interview. We discussed Ann’s pioneering work with biodynamic and organic viticulture, her various vineyards across Canada and in Argentina, and her own approach to winemaking. Want to get one of Ann’s wines? You have a wide choice: Southbrook, Versado, Sperling Vineyards and she has consulted for Benjamin Bridge. You’ll also find the specific wines we tasted further down this post. Click on the buttons for “Follow” and “Like” on the page above to get notified when we go live. Add us to your calendar and grab a glass of wine. 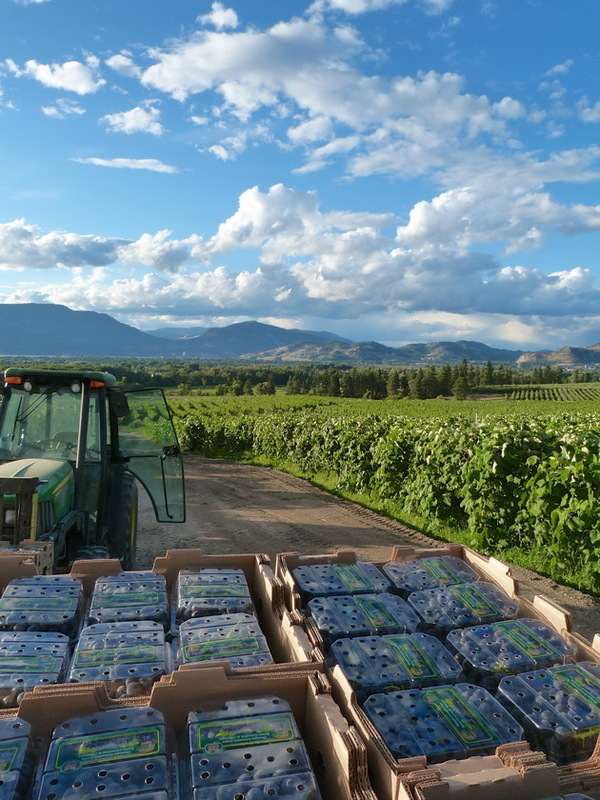 Ann Sperling was raised on a vineyard, where her family has grown grapes since the 1850s; her great-grandparents planted grapes in British Columbia’s Okanagan Valley. “I had a miniature version of every conceivable farm tool—a child-sized hoe and so on—so that I could help with almost every part of growing the vines,” she says. She remembers yearning to be older so that she could do even more of the farming. At dinner, the family ate and drank what they grew, and analyzed it for freshness, ripeness and balance, which helped her to develop her tasting ability. Having grown up among the vines, she says she has an intuitive feel for them: she can walk into any vineyard around the world, and within seconds assess its age and vitality. So are women better winemakers? Not necessarily, though some research suggests that they are better wine tasters—or rather wine smellers, since most of the complexity of wine is in its smell rather than its taste. Humans can detect just five basic tastes in our mouths, but more than two thousand aromas with our noses. Some theories explain women’s acute sense of smell as an evolutionary development: women were once the gathers of berries and plants, both for cooking and medicinal purposes, and were responsible for preventing their children from eating anything poisonous. They were also traditionally the cooks, mixing different ingredients, and smelling and tasting to judge the result. Some theories suggest that women simply have more taste buds per square millimetre on their tongues. 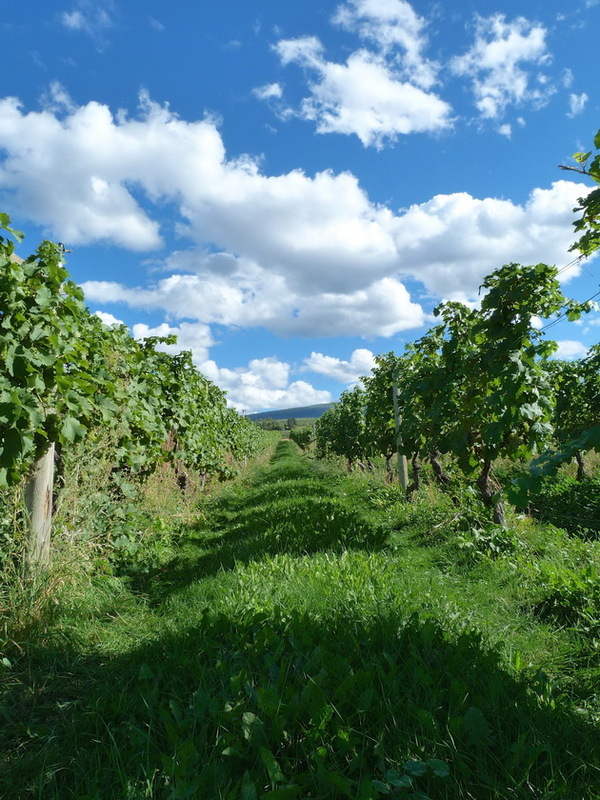 Ann Sperling now works at Ontario’s Southbrook Vineyards, along with her own family winery in British Columbia, Sperling Vineyards, Versado in Argentina, and a collaboration with her husband Peter Gamble in Nova Scotia for Benjamin Bridge. 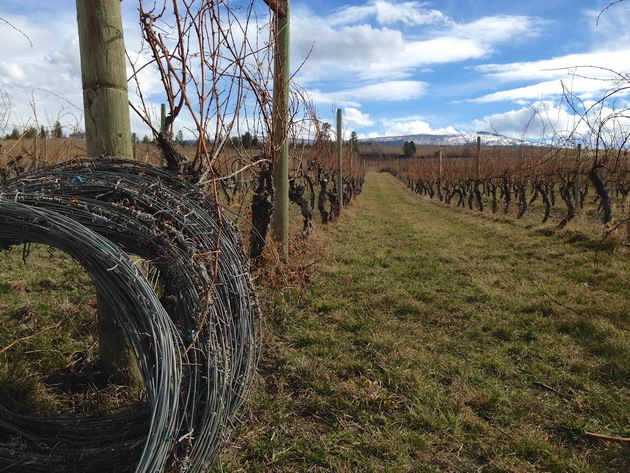 You can watch our video interview on biodynamic viticulture here. I’m posting this piece below that I originally wrote for the LCBO’s Food & Drink Magazine on women winemakers. Several of the women have since changed positions, but they are still in the wine industry and more importantly, the issues raised remain. Do women have any natural advantages when it comes to making and tasting wine? Are they still a minority in the industry, and if so, why isn’t that changing? What does the future look like for young women entering the field? In my personal quest for answers, I’ve judged the National Women’s Wine Competition, hosted in Santa Rosa, California, in which all the wines were made by women. I’ve met with many talented women vintners, including many of whose names appear on their labels: Gina Gallo, Delia Viader, Merry Edwards, Kathleen Heitz Myers, Joy Sterling (Iron Horse) and Dominica Trotty (Beaulieu Vineyards). I’ve even had the density and number of my taste buds measured by taste specialist and Master of Wine Tim Hanni in California, and it turns out that (at least scientifically) I am a super taster. However, the best insights come from the women winemakers themselves. Here’s a toast to them on International Women’s Day! Perhaps the problem started with Bacchus and Dionysus, the ancient Roman and Greek gods of wine, both men. Or maybe it was the medieval European myth that women could turn wine to vinegar. Possibly it’s the modern misconception that women don’t like to get their hands dirty. Whatever the reason, until recently women in the field of wine were viewed as rarities. That’s changing. Women are making their mark on all aspects of the wine industry, as winemakers, viticulturalists, winery restaurant chefs, marketers, accountants, general managers and owners. Seven women in Niagara, Ontario are leading the way: Ann Sperling, Myrna McKeen, Sandra Marynissen, Kristine Casey, Ilia Suter, Sue Ann Staff and Debi Pratt. Myrna McKeen, marketing and public relations manager for Vineland Estates Winery, was an event planner in the medical insurance industry before entering the field of wine. But in 2000, she decided to go back to school for the post graduate program in event management at Niagara College, in the heart of Ontario’s wine country. After graduating, she joined Vineland Estates, attracted to the blend of hospitality, tourism and an ever-changing product. “Marketing wine is a creative challenge because it’s different from year to year, even from day to day, depending on the vintage conditions, how long the wine has been cellared, at what temperature it’s served and other factors,” McKeen says. “And we don’t just promote the wine itself; its part of a culinary destination.” Vineland also features an outstanding winery restaurant—three of its chefs, Mark Picone, Jan Willem Stulp and David Berggren, have recently been awarded the prestigious Chef de Cuisine status by Cuisine Canada. “I have the most beautiful drive to work in the world: along a road that snakes its way between the vineyard rows up the hill to the winery.” This past summer, McKeen’s love of the setting and her event planning expertise came into play on a personal level when she got married—at the winery, of course. Sandra Marynissen recalls that her late father would line up glasses of his wines along the porch railing and ask her to sample them – before breakfast. In the vineyard at Marynissen Estates, she picked the grapes from the bottom rows so that her mother wouldn’t strain her back stooping. Marynissen has two older brothers; and when she was in her late twenties, it took her several years to convince her father that she should be the one to take over the winemaking. Traditionally, the secrets of the craft were handed down from father to son. “I pestered him long enough and he saw that I had the passion for the business, so eventually he gave in,” she says. Kristine Casey, formerly the assistant winemaker at Jackson-Triggs Winery, was born and raised in Hamilton, Ontario, just 45 minutes’ drive from Niagara. 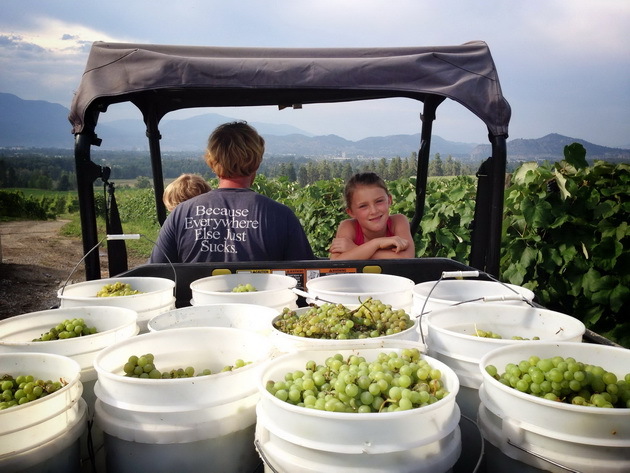 Casey’s father was an amateur winemaker, so she learned about winemaking techniques at home and even used them in a school project. For her Grade 12 chemistry project, she made wine from the vidal grape, then distilled it several times to measure the alcohol levels¬—with a spectrometer rather than her palate since she wasn’t of drinking age. The project earned her an A. In 1995, she enrolled in the Queen’s University honors biology program in Kingston. The summer after she graduated, Casey worked in a Niagara vineyard, where she became more interested in winemaking professionally. She decided to enroll in post-graduate studies at Brock University’s Cool Climate Oenology and Viticulture Institute, which had just been launched in 1999. Casey was the first graduate of the program, which covered the science of wine, the cultural aspects of viticulture and sensory evaluation. 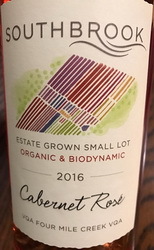 Casey’s first job was as a viticultural surveyor at Vincor International, the parent company of several Canadian wineries, where she created maps for each of the company’s grape growers. 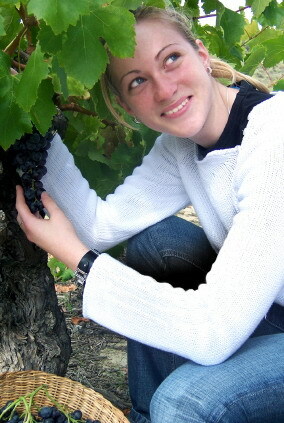 The following summer, she became a cellar worker at Vincor’s newly-designed winery, Jackson-Triggs Estate Winery. Then in the fall of 2000, when she was just 23, Casey moved into her dream job: assistant winemaker at Jackson-Triggs, working with chief winemaker Rob Scapin. Casey loves working in such a modern environment. “I love the technology like the roto-fermenters, which help us control the fermentation of the red wines so that we get some wonderful flavors and extraction. 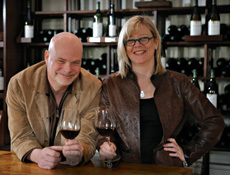 It’s a privilege to be a part of such an innovative company.” Note: Kristine has since left Jackson-Triggs. 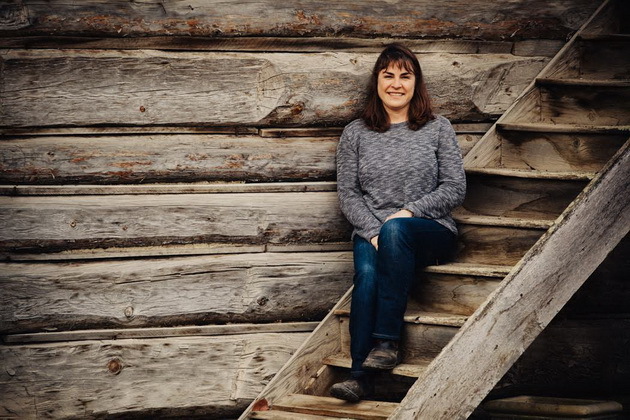 Ilia Suter, assistant winemaker at Cave Spring Cellars, didn’t have a wine career in mind when she graduated from the art conservation program at Sir Stanford Fleming College in Peterborough in 1995. However, jobs in restoring old books were about as rare as the books themselves, so she went back to Dunville to help her father market his wrought iron designs. While the two were at a craft show in Balls Falls, Cave Spring’s owner Len Pennachetti stopped by their booth. He thought Suter such an excellent salesperson that he encouraged her to apply for a job in his retail wine shop. She got the job and soon she was also using her training in bookbinding chemistry in the wine lab, analyzing its acidity and other components. Two years later, when Cave Spring’s assistant winemaker left the winery, chief winemaker Angelo Pavan promoted Suter into the position. Sue Ann Staff’s family has planted grapes in the Niagara region since 1850s. In school, no matter what the subject, she tried to “bend every project around wine.” As soon as she got off the bus after school, she dropped her school bags at the side of the road and ran to help the grape pickers in the vineyard. She recalls the thrill of driving her first tractor at age 12 — and even now, she loves the contrast between plowing through a muddy vineyard in steel-toed boots in the morning, and slipping into a strapless dress for a gala tasting in the evening. As for how people react to women winemakers, Staff, who’s in her thirties, says that few people bother her — except for the occasional salesman who might ask to see “the other winemaker.” Her favorite reaction was from a group of elderly ladies who visited the winery last fall. When they were told they would meet the winemaker, they started primping and combing their hair, expecting to meet a charming 65-year-old man. When Staff came into the tasting room, they shared surprised, but delighted laughter. Update: Since leaving Pilietteri Estates, Sue-Ann now owns her own successful Sue-Ann Staff Winery and is the consulting winemaker for Megalomaniac Wines. 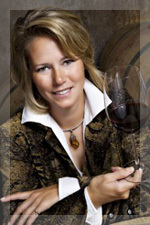 Debi Pratt, director of public relations at Inniskillin Winery, was born in Toronto and raised in St. Catharines, about ten minutes’ drive from Niagara. After graduating from St. Catharines Teacher’s College and Brock University, Pratt moved to Niagara-on-the-Lake to teach primary school. At the same time, she started part-time at Inniskillin in 1974, assisting with tours, selling the wine and organizing events. 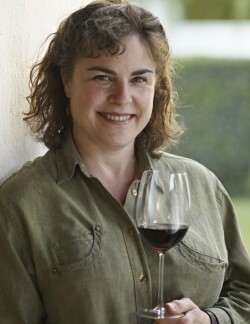 In 1986, she joined the winery full-time to coordinate their marketing and pubic relations projects. Last year, Pratt won the Women in Business 2003 award at the fourth annual Salute to Entrepreneurial Women luncheon in Niagara. Pratt was selected from twelve nominees for her innovative programs at Inniskillin including chef seminars, themed dinners and wine tastings, wine author lectures and celebrity icewine picking events. Pratt was also one of the founders and first chair of Niagara-on-the-Lake’s Tourism and Economic Management Corporation, established to encourage longer and off-season visits to the region. Pratt says her training as a teacher helped her to design Inniskillin’s innovative self-guided tour program that explains how wine is made in the region to the winery’s 300,000 visitors a year. She’s also broadened that understanding to students from Niagara College, where she is on the board of directors. Pratt mentors students who work at the winery for co-operative work experiences and is a frequent guest lecturer at the college. “Life doesn’t get any better when you’re sitting among the vines, having lunch with the students and sampling the new vintage of pinot noir,” she says. All of the women feel that their success has less to do with their gender than with hard-work—and talent. Although they may not have chosen the field as youngsters, none of them can imagine doing anything else. Their advice to those aspiring to get into the wine industry, male or female, is to taste as many wines as possible, and help with harvests in both the southern and northern hemispheres. They share their success with their counterparts in California, where women make some of the most coveted cult wines: Helen Turley (Pahlmeyer, Marcassin, Bryant Family Vineyard); Merry Edwards (Matanzas Creek); Ann Colgin (Colgin Cellars); Mia Klein (Dalla Valle Winery); and Heidi Barrett (La Sirena, Grace Family Vineyard, Paradigm and Screaming Eagle—a six-liter bottle of which went for $500,000 at the Napa Valley auction several years ago). 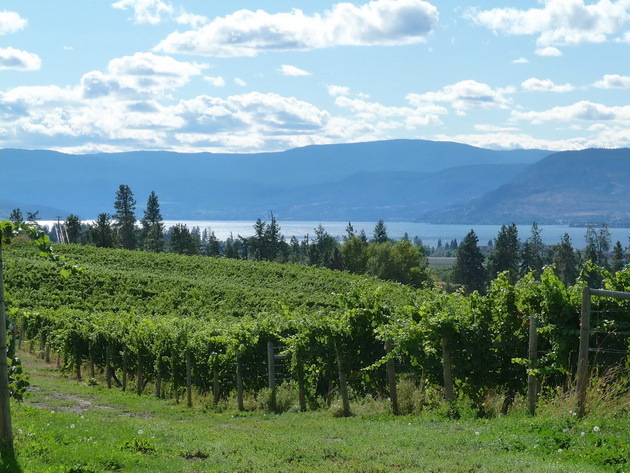 In Canada, others include Deborah Paskus, Closson Chase; Mira Anawicz, Constellation Brands; Tatjana Cuk, East Dell Estates; Katherine Reid, Joseph’s Wines; Sandra Oldfield, Tinhorn Creek; and Christine Leroux, St. Hubertus Estate Winery. More young women are following their example, enrolling in programs at Niagara College, Brock University and UC Davis, and embarking on careers in the field of wine. Maybe it’s time that Bacchus and Dionysus made room at the table and in the cellar for a colleague: Varunani, the Indian goddess of wine.